SINGAPORE, 29 September 2014 – Passenger traffic at Singapore Changi Airport totalled 4.65 million in August 2014, a slight decline of 0.6% year-on-year. In terms of airfreight movements, Changi Airport handled 156,000 tonnes of cargo, an increase of 4.1% compared to a year ago. Aircraft landings and takeoffs decreased by 4.2% to 28,360. During the month, traffic to Northeast Asia, South Asia and Southwest Pacific improved, offset by a decline in Southeast Asia travel. There were double-digit increases in passenger movements between Singapore and Hong Kong, Ho Chi Minh City as well as Sydney among Changi Airport’s top 10 cities. However, travel to and from Bangkok continued to decline, down 11% on-year. 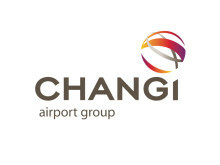 For the period of January to August 2014, 35.84 million passenger movements were recorded at Changi Airport, 1.1% more than the corresponding period in 2013. Aircraft movements rose in tandem by 1.3% to 228,240. 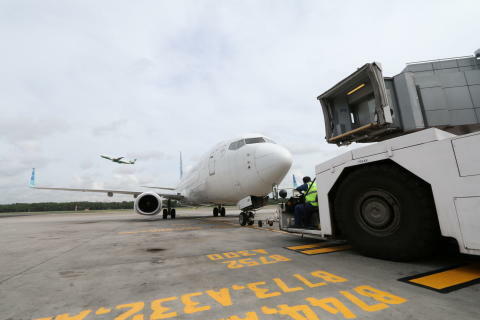 Airfreight shipments grew 0.7% to 1.22 million tonnes for the same period. As at 1 September 2014, more than 100 airlines operate at Changi Airport, connecting Singapore to over 300 cities in some 70 countries and territories worldwide. With more than 6,400 weekly scheduled flights, an aircraft takes off or lands at Changi roughly once every 90 seconds. New Stores – Renowned for offering the highest quality doughnuts and great-tasting coffee since 1937, popular doughnut chain Krispy Kreme opened its newest outlet in the Departure Check-in Hall of Terminal 2. Over in Terminal 3, Curry Times, operated by curry puff specialists Old Chang Kee, is serving its famous Curry Chicken, masterfully prepared in a rich curry broth simmered to perfection. Three new retail and dining outlets have commenced operations in the transit areas of Changi Airport. French clothing company Lacoste opened its second Changi store in Terminal 3 while The Coffee Bean and Tea Leaf, one of the largest family-run coffee and tea companies in the world, established its fourth and fifth outlets at Changi, in Terminals 2 and 3. ‘Be A Changi Millionaire’ Monthly Winner – Buying chocolates at Changi Airport proved particularly sweet for Mr Seiichiro Oiyama, a 35 year-old Japanese civil engineer working in Singapore. Mr Oiyama has been picked the third monthly finalist for the ‘Be a Changi Millionaire’ 2014 Grand Draw. He made his winning purchase at The Cocoa Trees for a very important client of his. When he first informed his wife of the good news, he said, “She didn’t believe me until I showed her the email notification.” To calm his nerves down before the grand finale early next year, Mr Oiyama mentioned that he will play a game of football to kick off his dream of flying to Peru to visit the Machu Picchu, should he win the S$1 million grand prize. Changi Airport is the world's sixth busiest airport for international traffic. It served a record 53.7 million passengers from around the globe in 2013. More than 350 retail stores and 120 F&B outlets are situated across three terminals to cater to passengers and visitors. With over 100 airlines providing connectivity to 300 cities worldwide, Changi Airport handles about 6,400 flights every week, or about one every 90 seconds.